Some trail runners prefer the challenge of conquering the most rugged of terrains while others thoroughly enjoy the calming effect of a relaxed run through a soft, tree-lined dirt path. Some are exhilarated by the demands of a continuous climb and others are more delighted by the rollercoaster effect of undulating hills. Whatever style of off-road running you love most—and there are so many different kinds—you can make a safe bet that somewhere in the U.S. there’s a splendidly scenic path that can make all your trail running dreams come true. To help pinpoint which U.S. running trails are the best of the best, we called on a team of experts comprised of some of the country’s most experienced and well-versed trail runners. From the rugged wilderness of Vermont and sweeping views of California’s coast to the beloved landscape of the Grand Canyon and Alaska’s incredible backcountry terrain, this list is a collection of their top trail running recommendations. Longs Peak Keyhole Route— Colo. According to Joe Grant, an elite trail and mountain ultra-runner and the founder of Alpine Works, a venue that educates about and encourages outdoor exploration, this trail’s Keyhole Route (beginning at the East trailhead) is the most accessible and popular path up the mountain. “The trail climbs a couple thousand feet to tree line before working its way north west to Granite Pass,” he said. 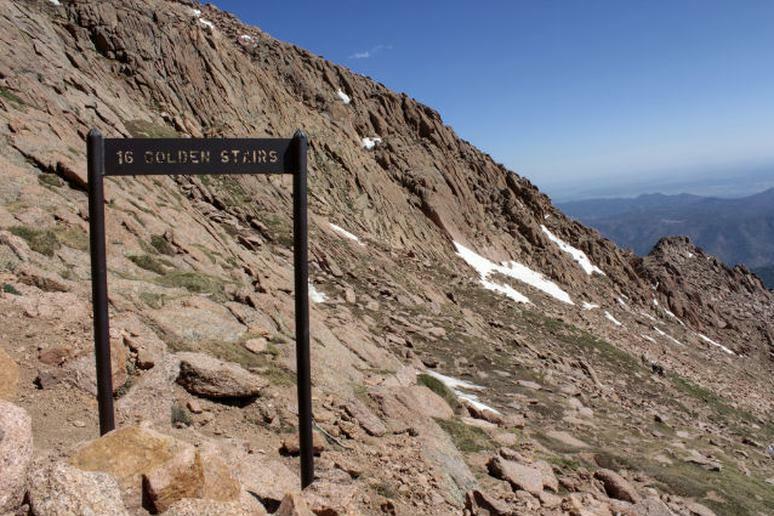 “There is a cut off trail west before the pass for the Chasm Lake trail which is a nice alternative route if you're not feeling up to going all the way to the summit of Longs Peak, but still want amazing views of the Diamond and Chasm Lake.” Runner’s should come prepared, though. Grant describes the route as long and strenuous. Beyond Granite Pass the trail becomes more challenging with third class terrain. Past there the trail leads through The Narrows and The Homestretch before reaching the summit at 14,255 feet. Part of the Texas Hill Country on San Antonio’s north side, Liza Howard, a competitive ultra-runner and a field instructor for the National Outdoor Leadership School, recommends this rugged range of land for its rocky, single-track routes surrounded by a forest landscape full of live oak, ashe juniper, and mountain laurel. Click here to see more of the best U.S. running trails.